As both avid campers and caravanners, the ground outside our set ups can vary anywhere from sand, dirt, mud, small rocks, spinifex and grass. 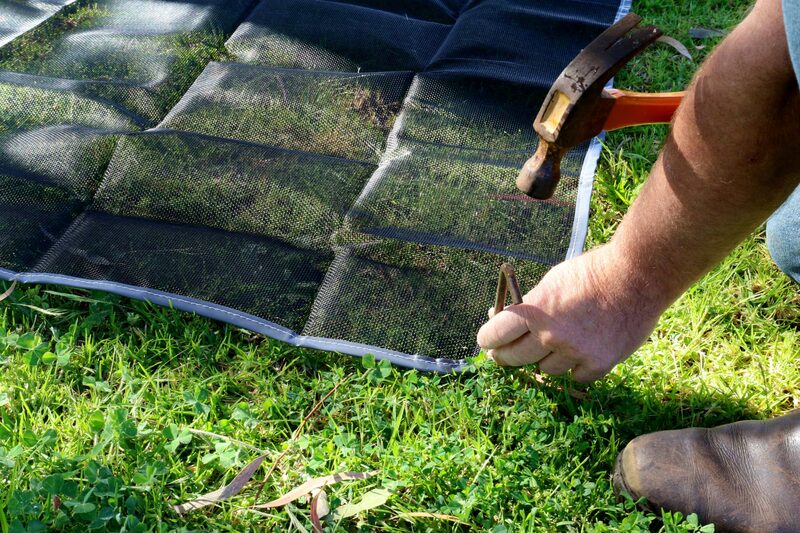 So, we’ve found having a ground mat that is suitable for all these types of ground conditions hasn’t been easy to come by. We’ve tried a range of mats over the years, but they’re often big and heavy – so no good when you’re weight saving when travelling! Others we’ve tried get caught under foot or don’t stay in position, and some haven’t been suitable for lovely grassed areas as they’ll kill the grass. With a bit more research, we soon found there was a range of mat products on the market, but we were specifically looking for something that would meet all the requirements. From listening to other travellers, we’d heard positive reports about the Enduromat Mate, so it was time to check it ourselves to see how well it stacked up. While the mats are available in a range of sizes, they start at just over one metre square, and go all the way up to a palatial 7 metres x 2.45 metres. 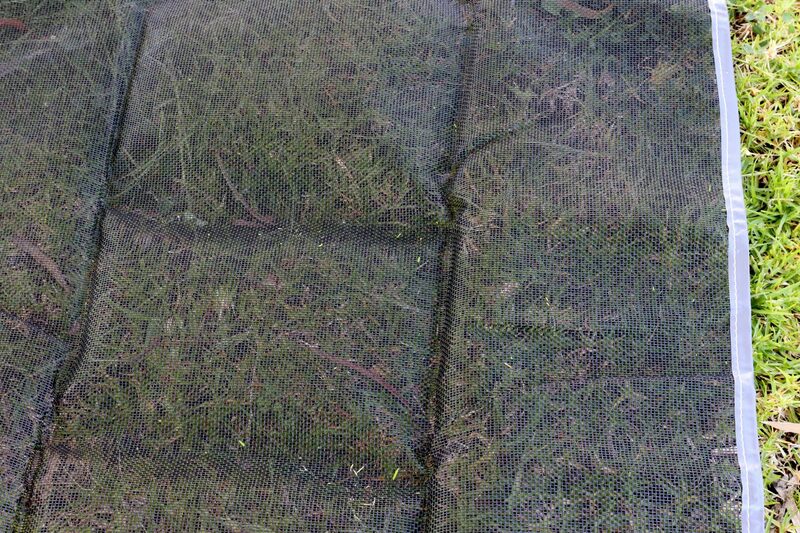 Our 2 metre x 2.45 metre mat was supplied by the team at Caravan RV Camping, and arrived in a 35cm x 30cm velcro sealed bag. This size was perfect for us, and weighing only 1.9kg was another positive. 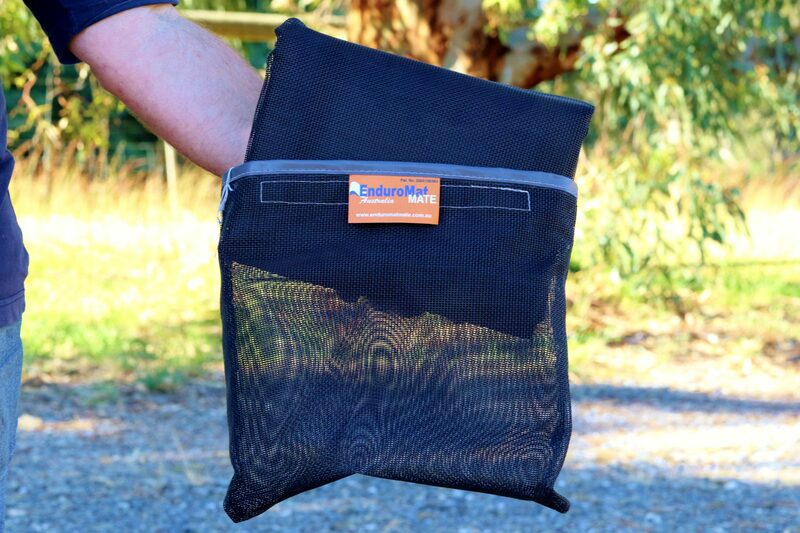 Both the bag and mat material is a polyester coated mesh fibre with added UV protection, and comes in two colours, Forest Green or Black (black was our choice). Out the bag, we liked the idea that the mat was edged and contained eyelets to help peg it down. What we quickly noticed was that it was nice under foot and not slippery or flimsy, unlike our old piece of shade cloth. What we were really impressed with was the mat’s versatility. When put to the test, sand and small dirt particles just fell through the mat, leaving the larger dirt particles behind which were easily swept away. Cleaning was easy when we only had to give it a quick shake, but as the material is mould resistant, it’s easy enough to give it a hosing down as well. When it came to packing up, we were pleased the mat easily folded back into the original bag, so it was another big tick here. They say when you find a good thing, then stick to it…and this is one accessory that will become a standard inclusion whether we’re caravanning or hitting the tracks with the camper trailer as it meets all our requirements. It’s size, weight and versatility are three important factors for us, so it’s perfect for our style of travel. 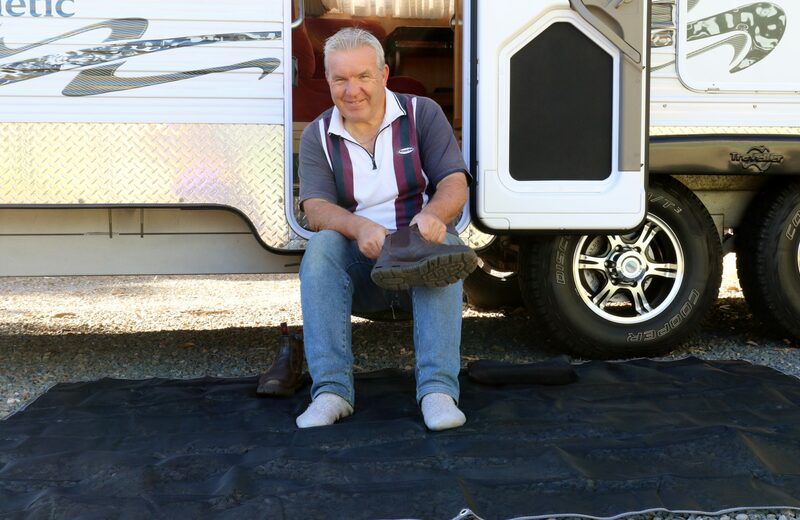 For more information about the range of Enduromat Mate mats or other camping or caravan accessories, visit Caravan RV Camping’s website.